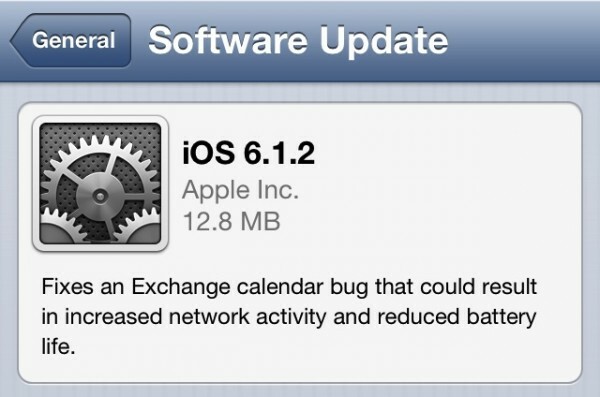 Apple has just pushed out iOS 6.1.2 to fix some bugs with Microsoft’s Exchange and also to patch the bug that allowed access to the phone application by bypassing the passcode. The official release states that it Fixes an Exchange calendar bug that could result in increased network activity and reduced battery life. If you are jailbroken, stay away from this update until Evasi0n jailbreak has been proven to work correctly.